After two days of trips to Target and Bed Bath & Beyond, my mom finally agreed that I had everything I needed, and that it was time for her and my dad to journey back to the hotel. We made it out to the dorm parking lot, and she pulled me in for one last squeeze. After what felt like hours, she released her grip, wiped her tears, and entered the passenger’s seat of the rental car. I walked back into my dorm, struggling to contain my excitement. I felt freer than I had ever felt in my life. My mom and I have what I like to call a “complex and ever-changing” relationship, which consists of some bickering, some sassing back and forth but, most prominently, a steady flow of unwavering support and love for each other. We used to giggle like sisters when we watched Kristen Wiig on “Saturday Night Live,” and we shout at each other over the phone when we disagree—which is often. It is a “rollercoaster,” as she often describes it. Even though I love my mom, and knew I would miss her at times, watching her leave felt like a weight was being lifted off of my shoulders. I felt like the kid in “Home Alone” when he realizes all of the freedoms that come with a lack of parental supervision. Finally, there was no one to scold me for arriving home late (or in a questionable state), for eating non-organic fruit, or for binge-watching Netflix when I had far more important things to do. The first few weeks of school we barely spoke, and when I did call her, it was because I felt like she would be mad at me if I didn’t. She kept her distance wonderfully, allowing me to bask in this newfound independence, and things were great. But, then, the inevitable stress that comes with freshman year ensued. I started rush, my classes started to pick up in pace and workload, and I started to wonder about all of the things that most freshman question, at some point: How did I get into this school? Is it physically possible to retain this much material? Why am I even doing recruitment? I was nervous to unload all of this onto my mom because, until then, I had been doing just fine on my own. I am an adult, I rationalized, and I should be able to handle these things without Mommy telling me how. The stress continued to pile up. I finally caved. I called her in a panic spilling out all of my fears, stresses and concerns. She listened intently. She told me that I was smart enough to be here, that it I could manage all of the material, and that the recruitment process would work out how it was supposed to. Even though I probably could have come to these conclusions on my own, it was the reassurance that only a mother can provide that enabled me to push through those freshman struggles. As college students, we like to see ourselves as capable, self-sufficient human beings. And for the most part, we are. For those of us who are more stubborn, it can be difficult to admit that, sometimes, we just need our moms to point us in the right direction. She might not actually know what a Comm class entails, but she can tell you with absolute certainty that you are going to do okay on assignment one. She will overnight you socks when you discover that you brought none; she will send you delicious goodies on your birthday; and she will shower you with positivity, and all of the variations of heart-shape emojis when you realize that you are dateless for formal. If I could go back to that sticky night last August in the parking lot, I would hug her a little longer, a little tighter, and maybe even shed a few tears to match her sobs. 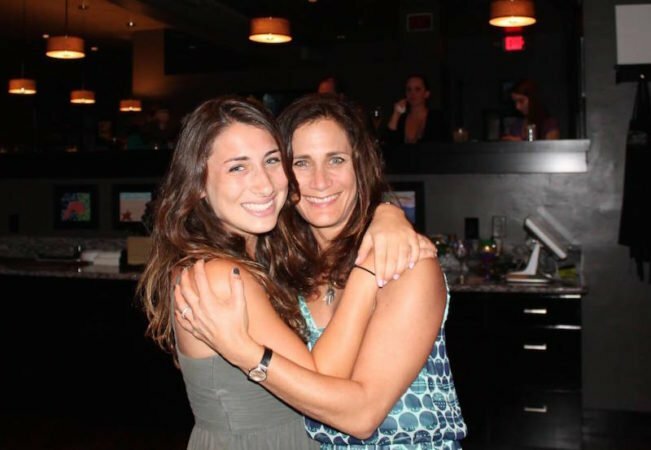 Because even though I didn’t realize it then, nothing – not even soy mochas, office hours, or your very best friend – can get you through the grinds of college as well as your mom can. This originally appeared on The Odyssey. Sophie Burton is a rising senior at the University of Michigan, Communications Studies major and lover of words, chocolate and Minnesota summers.